(ST) 0 83 692 which indicates both a mono and stereo version. Has anyone ever seen the stereo white red and gold label stereo version? Be careful if you come across any records by the Beatles that's supposedly autographed by the Fab Four - a lot of them are forged. It is well known that back in the day, that their roadies (Neil Aspinall and Mal Evans), the Beatles Fan Club secretaries (such as Freda Kelly) and even family members (such as John Lennon's Aunt Mimi and George Harrison's Mum, Louise, who does a very good impression of George's signature) signed a lot of their autographs on their behalf if they weren't available - While these forgeries were done with good intentions, there are also fakes done by professional autograph forgers, which are done with the sole purpose of ripping you off - Take extreme care when looking for signed Beatles albums, as they are VERY VERY expensive! PS: A very easy way to tell that a signed Beatles album is fake is to check the year of the pressing. Obviously, an album signed by all four Beatles, which is a pressing after 1980 is phoney (John Lennon died in 1980) or a record or CD signed by the Beatles (except John) thats a pressing after 2001 is fake (George died in 2001). Why aren't the records in the order given by their release? "With The Beatles" stated here as FIRST record, in fornt of Please Please Me? As well as the all American issues in front of the British? I can;t find info anywhere, its been years, I heard a cover of 'Girl' by some random post-punk kind of band. I thought it was D.A.F. but i didnt see it on any of their albums. has anyone heard this at all? I know I mentioned it before (a page or two ago), but seriously: dear Beatle-friends and collectors, please check your information when it comes to the Brazilian records before posting anything. Not everything is "first edition" and/or "mega rare" just because it's an old South American record from the 60's/early 70's! From the many artists I enjoy and collect, I have found out that The Beatles are among the ones with most inaccurate listings around here, for some reason. Listings containing pictures and descriptions of more than one press/edition, reissues and represses listed as the first edition, listings with unnecessary comments about its rarity (I specifically mean the ones listed by a seller in order to sell a copy, mentioning that they're "mega rare!!" in the notes - and usually when that's not the case at all), etc. It's far from my intention to offend anyone, it's just that, as I said, it seems to happen quite frequently with Beatles' records, especially the Brazilian ones. Maybe it's the sheer quantity of information available when it comes to the legacy of the four Beatle fellas, which paves the way for lots of inaccurate information also being available easily, but let's do our best to organize Discogs and not only review the notes we have but also keep separated listings for reissues, represses, etc. Most of the time it takes just a few minutes of research to check labels to see if they're actually earlier pressings and so on, for instance. That way it'll be easier for all of us to catalogue our records accordingly and also help others with correct information about the (in this case, the Brazilian) discography! Thank you. 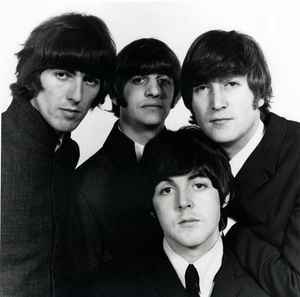 Australia was pistol whipped by The Beatles! They're not the only great band of that era.